When the Democratic Party nominated Harry S. Truman and adopted a strong civil rights platform in 1948, southern Democrats organized the States’ Rights Democratic Party, popularly known as the Dixiecrats. The party nominated J. Strom Thurmond of South Carolina for president and Gov. Fielding L. Wright of Mississippi for vice president. Thurmond and Wright carried four southern states but failed in their effort to throw the presidential election into the US House of Representatives. The organization of the Dixiecrat Party offered an early indication, however, that white southerners would resist changes in race relations. 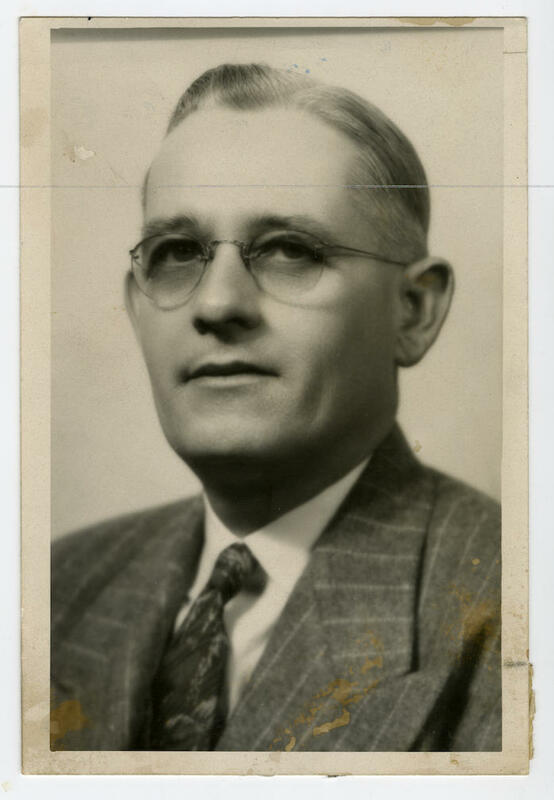 Fielding Lewis Wright was born in Rolling Fork, Mississippi, on 16 May 1895 to Frances Foote Clements Wright and Henry James Wright, members of a politically active family. After serving in World War I, Fielding Wright returned to Mississippi vowing that he would never become a “dang politician.” He played semipro baseball for a time before studying law at the University of Alabama and reading law with an uncle, and he then opened a law office in Rolling Fork. He turned down several opportunities to seek public office but finally ran for and won a seat in the State Senate in 1928. Four years later he was elected to the Mississippi House of Representatives, where he served until 1940. During his second term, he was elected Speaker of the House, and he used that position to strongly support industrial development and highway construction. He tended to identify with Delta planters and South Mississippi oil companies. In 1943 Wright was elected lieutenant governor. Because Mississippi’s lieutenant governor serves as the presiding officer of the State Senate, Wright became one of only two men in the twentieth century to chair both houses of the Mississippi legislature. When Gov. Thomas Lowry Bailey died on 2 November 1946, Wright ascended to the state’s top office. Wright then won a full term in the following year’s gubernatorial election, parlaying his opposition to civil rights and support for states’ rights into a rare first-primary victory over four opponents. Consistently referring to his supporters as “true Democrats” and “true Jacksonian Democrats,” Wright led statewide and regional efforts to oppose Truman’s civil rights platform. Speaking at his 1948 gubernatorial inauguration, he threatened to leave the Democratic Party if it continued to support African American rights, and he encouraged others to join him. He became a leader in the movement to form a southern Democratic Party, proposing and then leading the group’s first meeting, which took place in Jackson in the spring of 1948. Wright was a prominent figure in the Dixiecrats’ July convention in Birmingham, along with Thurmond, Frank Dixon of Alabama, and Mississippi senators James Eastland and John Stennis and representatives John Bell Williams and William Colmer. Mississippi voters then gave the States’ Rights Democrats a large majority in the 1948 presidential election. Wright’s term as governor expired in 1952, when he opened a Jackson law office. He made one last unsuccessful bid for the governorship in 1955 and continued practicing law until his death in Jackson on 4 May 1956.